This is seriously one of my favorite outfits of yours. 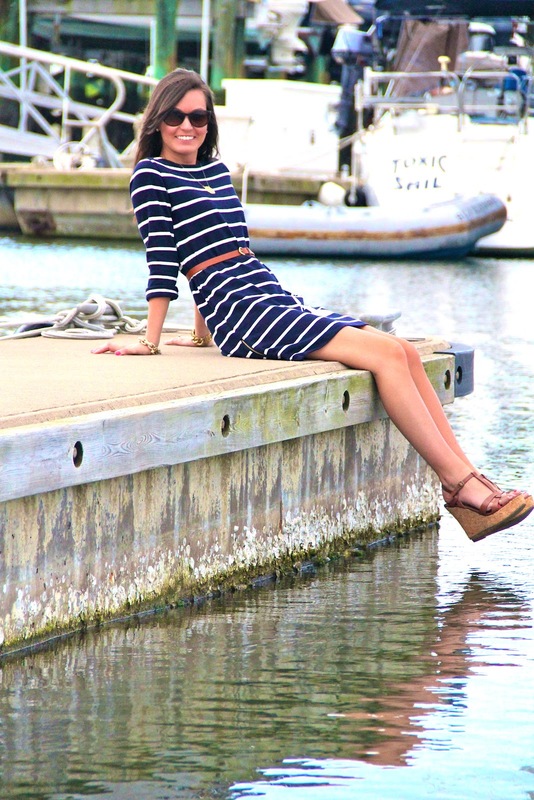 That dress is perfect on you and even better since you are near water! so cute! I love that dress from J.Crew and you have styled it perfectly! navy + white stripes are my favorite! love it with the brown belt and wedges. 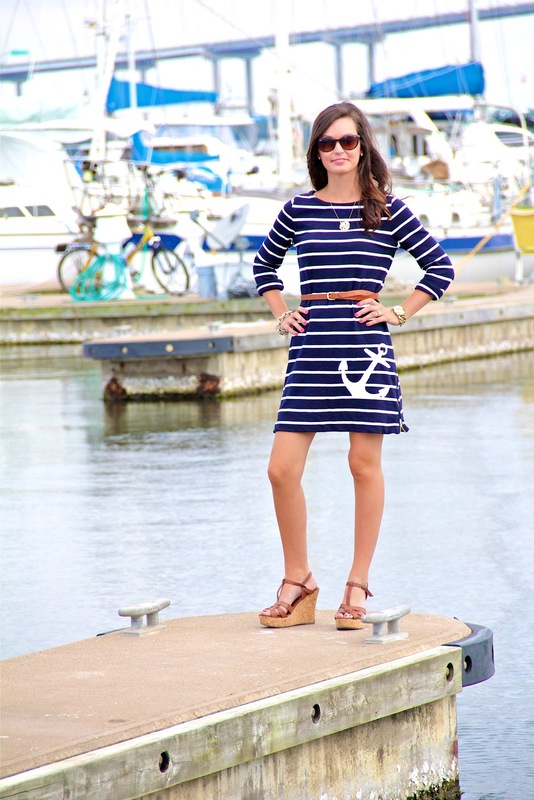 I am really digging that anchor on your dress! and the marina is seriously one of the best places to be! your blog is cute and I will visit it again! p.s. feel free to join my beauty series starting Wednesday, August 15, it will include guest posts, lots of pictures, letters, and a giveaway at the end!!! Thanks girl--I would love for you to join my blog! I will definitely check yours out. Have a great day! xo. that dress is too perfect with the belt~!